(Dulles, VA 3 November 2011) -- Orbital Sciences Corporation (NYSE: ORB), one of the world's leading space technology companies, has secured important roles as the industrial partner to three of five finalists for the next round of NASA's small space science missions. 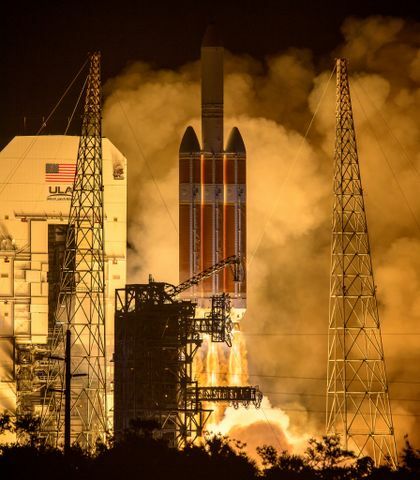 Under the space agency's Explorer Program, which provides flight opportunities and funding for heliophysics and astrophysics missions, each of five teams will receive $1 million to conduct 11-month mission concept studies. 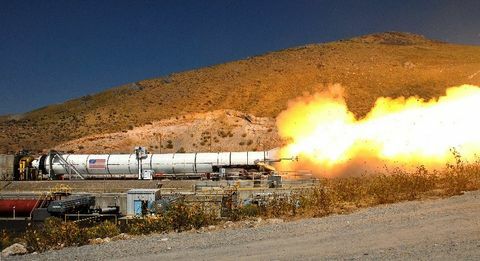 Following the submission of the study results, NASA plans to select two of the five finalists in early 2013 for full program funding with targeted launch dates in 2016. Orbital's experienced technical staff is working with two proposed heliophysics missions: the Atmosphere-Space Transition Region Explorer (ASTRE) and the Ionospheric Connection Explorer (ICON). ASTRE, led by Dr. Robert Pfaff, Jr. of NASA's Goddard Space Flight Center, would study the interaction between the Earth's atmosphere and the ionized gases of space. 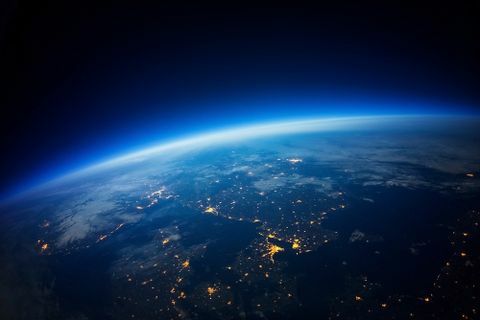 ICON, led by Dr. Thomas Immel of the University of California at Berkeley, would fly instruments to understand the extreme variability in the Earth's ionosphere. Orbital is also working with the Transiting Exoplanet Survey Satellite (TESS) team on an astrophysics mission. The proposed TESS mission, led by Dr. George Ricker of Massachusetts Institute of Technology and managed by NASA's Goddard Space Flight Center, would perform an all-sky survey using an array of telescopes to discover planets orbiting nearby stars and seek to identify Earth-like planets. "We believe that the ASTRE, ICON and TESS missions all have an excellent opportunity to provide significant breakthroughs in their respective areas of space science. We are proud to support leaders in the world's space research community and their compelling science missions," said Mr. Mike Miller, Orbital's Senior Vice President of Science and Environmental Satellite Programs. "Our long and distinguished record of providing affordable and reliable space systems, along with the institutional knowledge of each team's dedicated group of scientists, engineers and managers, creates a unique opportunity to conduct outstanding science missions for NASA." ASTRE, ICON and TESS will rely upon Orbital's LEOStar-2 spacecraft platform. The LEOStar-2 is a flexible, high-performance spacecraft for space and Earth science, remote sensing and other applications, and is compatible with a variety of launch vehicles. Orbital has provided the spacecraft for six of the last seven Small Explorer missions, including the operational RHESSI, GALEX, AIM and IBEX spacecraft, as well as the NuSTAR and GEMS spacecraft scheduled for launch in 2012 and 2015, respectively. Orbital is one of the country's most experienced designers and builders of science and environmental satellites. Since its founding, Orbital and its legacy companies have manufactured, tested and, in many instances, launched 30 spacecraft that have accumulated over 225 years of in-orbit operations. These spacecraft have provided NASA and the scientific community with valuable data for a broad range of scientific investigations, including comet fly-bys, measurement of the Sun's irradiance and solar flares, the search for black holes, clues to the evolution of the galaxy, observations of gamma-rays, and the Dawn mission's recent asteroid rendezvous at Vesta. Additionally, Orbital satellites have supported the critical observations and gathering of essential data for the study of Earth's environment, including high resolution and color imagery of the Earth's land and oceans, sea surface topography, wind speed and direction, atmospheric profiles and cloud behavior, and long-term land use trends. The Explorer Program is the oldest continuous program at NASA. It is designed to provide frequent, low-cost access to space using Principal Investigator-led space science investigations relevant to the agency's astrophysics and heliophysics programs. Initiated with the Explorer 1 satellite launch in 1958 that discovered the Earth's radiation belts, and including the Cosmic Background Explorer mission that led to Nobel prizes for their investigators, the Explorer Program has launched more than 90 missions. It is managed by Goddard for NASA's Science Mission Directorate in Washington, DC.